Noon van der Silk - Deep Learning Dance Smackdown! 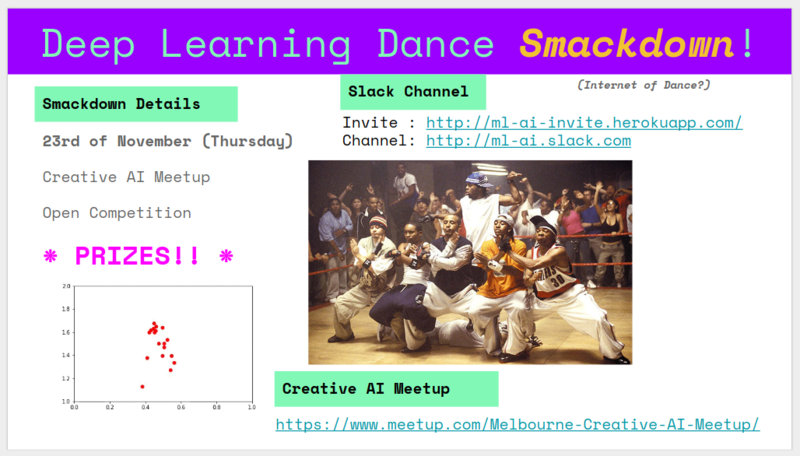 For the final event of the Melbourne Creative AI meetup this year I thought we’d run a small, fun, competition - a deep learning dance smackdown. The event details are on Meetup. and then, Responds with a dance. The format on the night will simply be to show how your particular idea works. It could be interactive, it could be online, it could be a presentation, it could be embodied in an robot! I leave it to your imagination. How to join … ! If you want to participate, then just send me an email, or just come along on the night with something to show! A dance robot may not out-dance a human being or, through dance, allow a human being to be embarrassed. 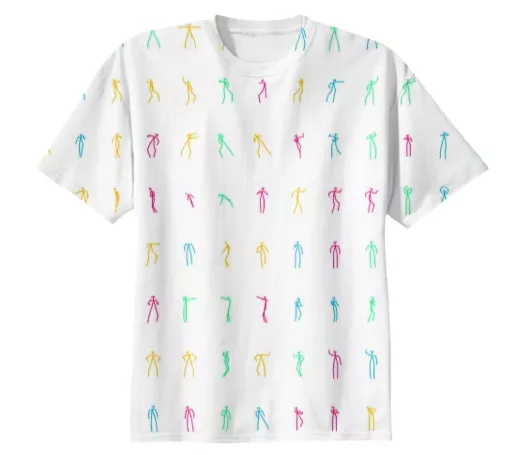 A dance robot must complement the movements given it by human beings except where such dance moves would conflict with the First Law or good taste. A dance robot must protect its own existence as long as such protection does not conflict with the First or Second Laws and the conservation of angular momentum.